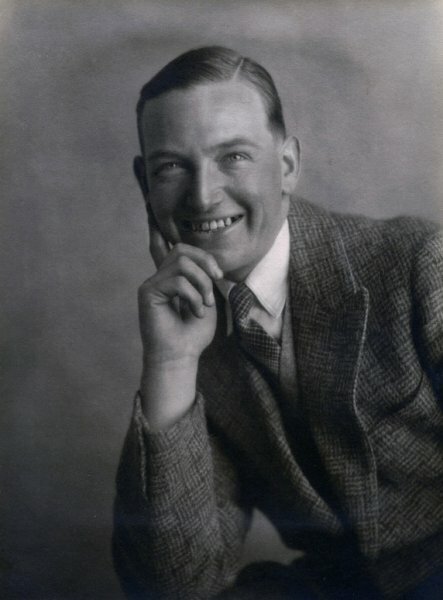 William Reginald Roydon Cooper, known familiarly as Roydon, Roy or Bill, but known professionally as Roydon Cooper, was born on 25 May 1902 in Shrewsbury, Shropshire. He was the oldest of the three sons of joiner John William Cooper (b1874) and Lucy née Jones (b1875). In the 1911 census John and Lucy were listed at 17 New Street, Frankwell, Shrewsbury, with their three sons; Roydon, Robert Geoffrey (1904-1966) and Howard (1909-1924) and John's 13-year old niece Lucy Williams. John and Lucy also had a daughter Dora (1910-2007). 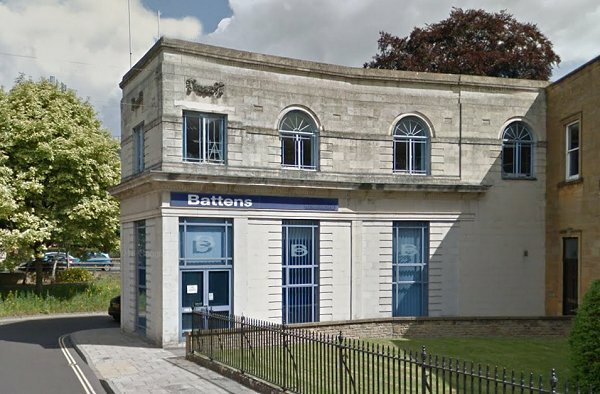 In 1925 Roydon moved to Yeovil to join the Yeovil architectural practice of Petter & Warren at the time the firm was based in Old Sarum House in Princes Street. Roydon Cooper was involved in the design of the Neo-Georgian Municipal Offices in King George Street and also worked on the design for Vincent's car showrooms (now Batten's) in Princes Street (see Gallery). In 1930 Roydon Cooper was working in his own architectural practice as "WR Roydon Cooper ARIBA, Chartered Architect, Glenthorne House, Yeovil". In the winter of 1932 Roydon married Phyllis Olive Mary Jacobs (1905-1976) at Wareham, Dorset. They were to have two sons; William Philip (1933-1980) and David. 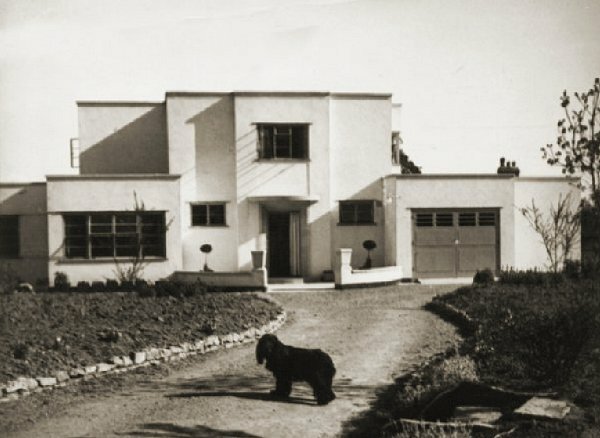 In the very early 1930s Roydon Cooper designed and built his own house in an Art Deco-inspired, rectilinear modernist style. The house, 76 Combe Street Lane, was called Nobles Nap House which he lived in until his death in 1978. 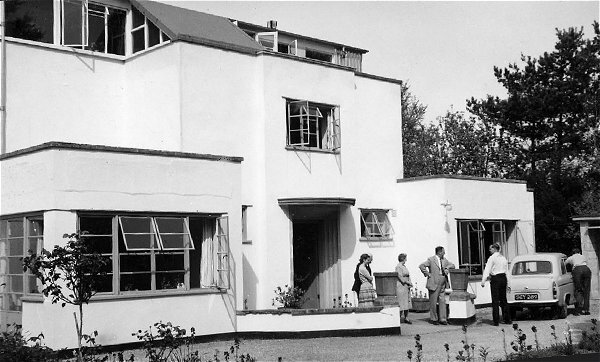 He also designed the neighbouring houses 78, 80 and 82 Combe Street Lane around 1934. During the 1930s Roydon was also in partnership with Leslie Magnus Austin at an architectural practice at 51 Towngate Street, Poole, Dorset, although the partnership was dissolved in October 1937. By 1936 Roydon had become a partner in Petter & Warren which, from then on, was known as Petter, Warren & Roydon Cooper. In 1938 the practice designed South Petherton Hospital. At this time the practice was still at Old Sarum House but by the end of the following year it had moved to what had been the Oxford Inn on the corner of Waterloo Lane. During the Second World War Petter, Warren & Roydon Cooper were involved in Government work although Roydon served in the Royal Engineers in Ceylon, rising to the rank of Major. The firm's address during the war was given as 11 West Hendford (the old Oxford Inn address? or an additional office?). 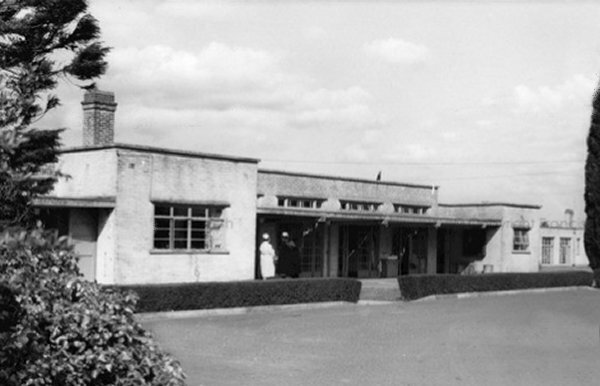 In 1947 Petter, Warren & Roydon Cooper designed an extension to Yeovil General Hospital. 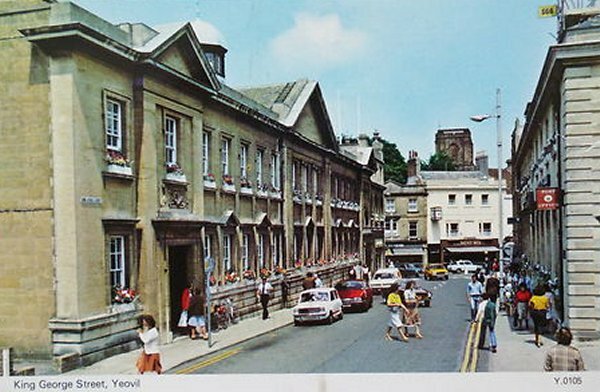 After the Second World War, and into the 1950s, they were also the official architects of Yeovil Rural District Council, designing several housing schemes in the villages around Yeovil. Roydon Cooper became the sole proprietor of the practice when John Petter retired. 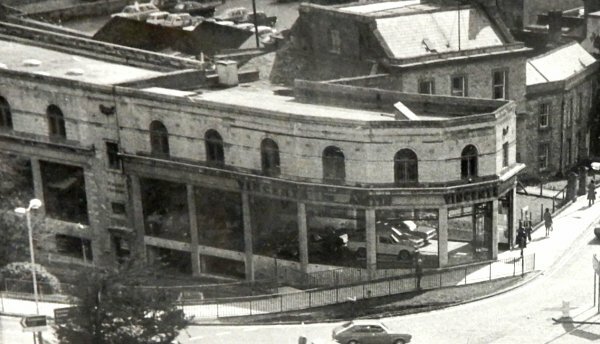 In 1957 his son, Philip, joined the firm and it was Philip who was to design the second floor extension to Nobles Nap House (although this was later altered). The architectural practice moved to 32 Hendford around this time. Roydon Cooper retired in 1967. Phyllis died in 1976 and Roydon died in Yeovil on 5 January 1978, aged 75. 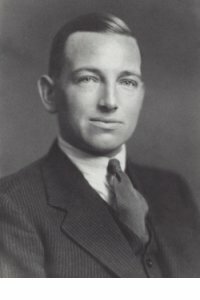 William Reginald Roydon Cooper, photographed in 1930. 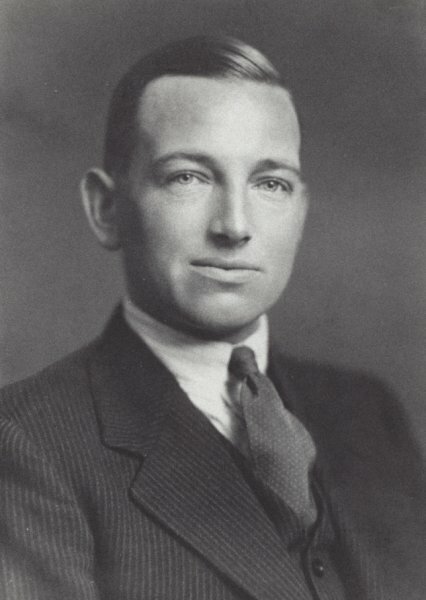 Roydon Cooper photographed around 1931. A 1A 1970's postcard of King George Street. Roydon Cooper helped in the design of the Neo-Georgian Municipal offices, which opened in 1928, at left. 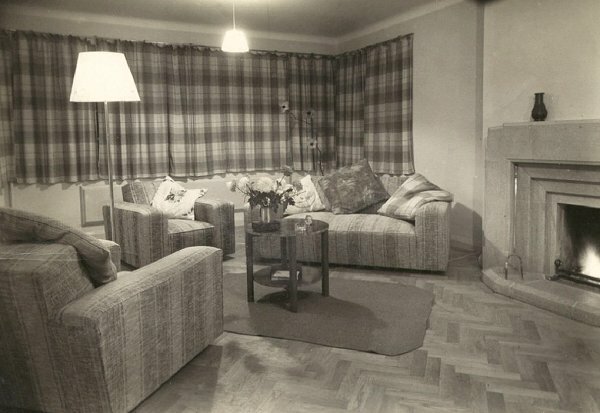 Vincent's showrooms of the 1930s, photographed in the early 1970s - again, Roydon Cooper worked on this design project. 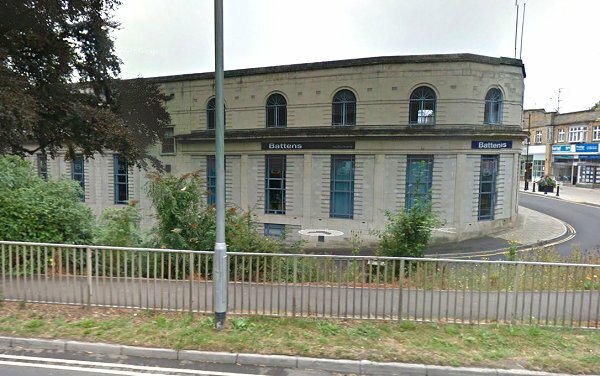 The ex-Vincent's car showrooms seen from Princes Street 'borrowed' from Google in 2016. The ground floor has, of course, been radically altered. .... and as seen from Reckleford. This invitation to tender was placed in the 21 March 1930 edition of the Western Gazette at which time Roydon was working from Glenthorne House. 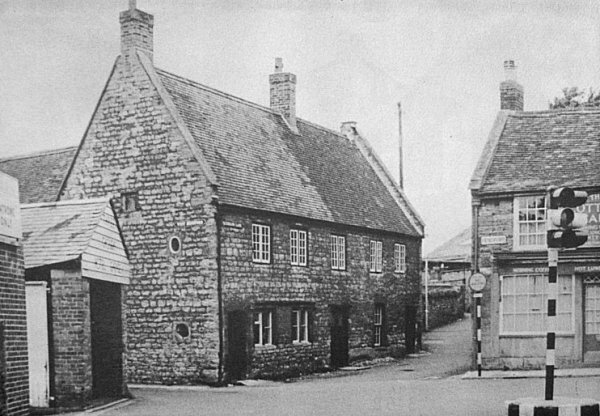 The Oxford Inn, at left in this photograph, was offices of Petter & Warren's architectural practice from the late 1930s. Waterloo Lane runs off to right of centre between the Oxford Inn and the Cottage Cafe, while the narrow entrance to West Hendford runs off left between the Oxford Inn and the Three Chough Hotel's garage buildings at extreme left. South Petherton Hospital, designed in 1938 by Petter, Warren & Roydon Cooper. 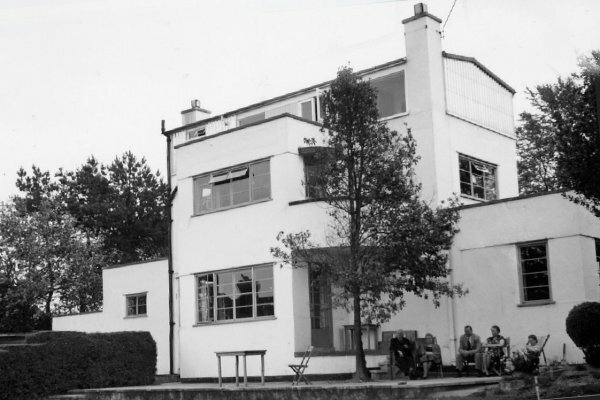 Nobles Nap House, 76 Combe Street Lane, was designed and built by Roydon Cooper in the very early 1930s in an Art Deco-inspired, rectilinear modernist style. He lived in the house until his death in 1978. 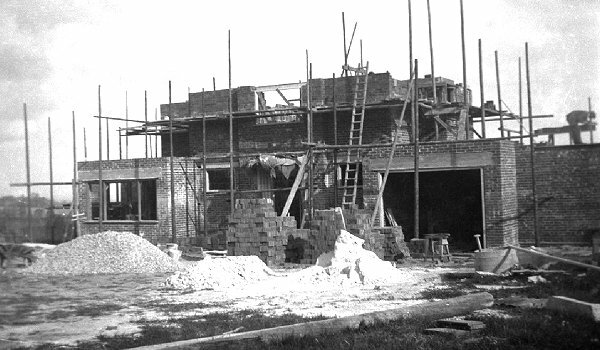 Nobles Nap House under construction around 1931. Nobles Nap House, in its original two-storey form. Photographed around 1932. The corner of the main lounge with furniture by interior designer Arundel Clarke. The sun lounge, looking through to the main lounge. 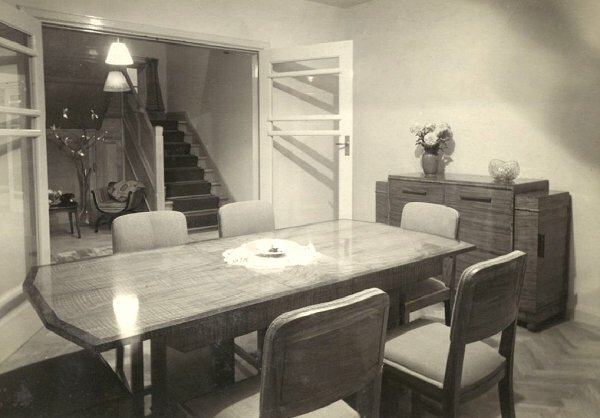 The dining room, with furniture by the English furniture designer Sir (Sydney) Gordon Russell (1892-1980). 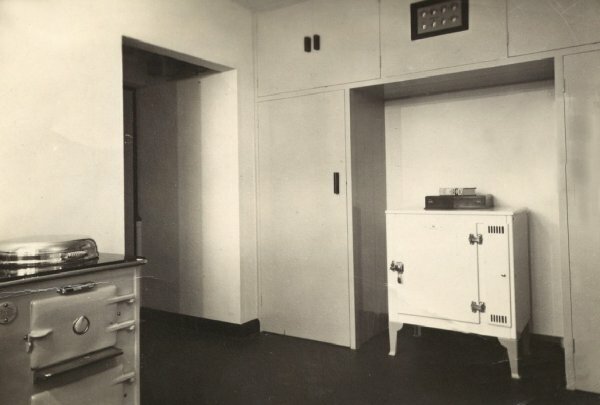 The kitchen with, at left, an early Aga cooker and in the alcove at right an early type of refrigerator. The front elevation of Nobles Nap House. 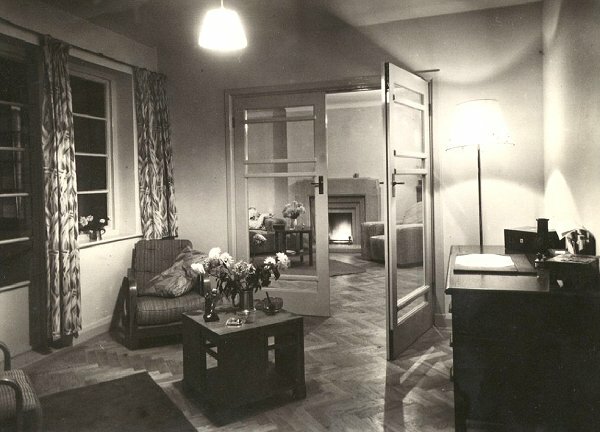 By the time of this photograph a second storey had been added, designed by Roydon's son Philip, who joined the architectural practice in 1957. Nobles Nap House rear elevation.